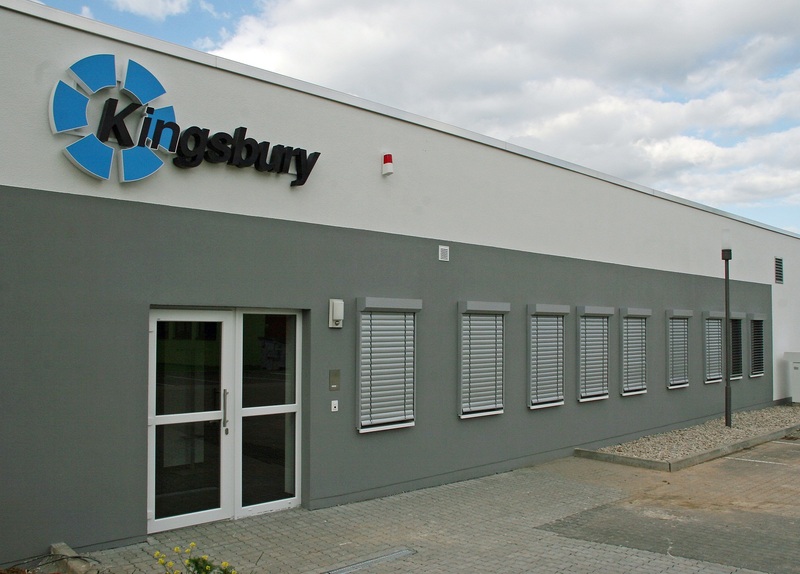 Following the opening of the Kingsbury GmbH sales office in Göttingen Germany in 2012, officials at Kingsbury have announced plans to expand into manufacturing. According to managing director, Dr. Morched Medhioub, "The decision to move into manufacturing Kingsbury bearings, made in the first quarter of 2013, was the natural outgrowth from the initial success of our European headquarters that serves Germany, Austria and Switzerland." Mick McCann, vice president of Kingsbury, Inc. in Philadelphia PA added, "The new Göttingen plant augments Kingsbury's ability to provide local support for our European customers who have long relied on our fluid film bearing products to deliver superior machine performance." The facility is currently undergoing improvements to handle heavy-duty machining equipment, accommodate an overhead crane and include climate controls to enable the extremely tight-tolerance machining necessary for the company's products. The 1,790 m2 facility will manufacture fixed profile, tilting pad, and combined thrust and journal bearings, with particular emphasis on products for high-speed and high-load applications. Kingsbury's staff will expand to include new production and quality control personnel. Official opening date is planned for June 2, 2014.